As per early rumors YouTube officially announced paid subscription channels, users have to paid some money to watch videos from paid channels. 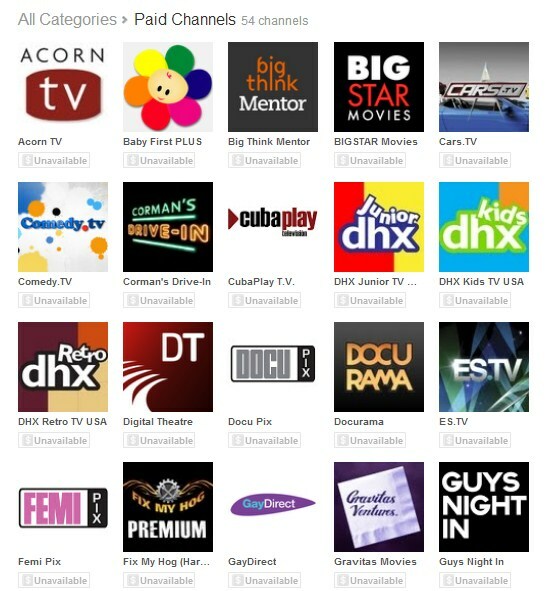 The paid YouTube channels now available for small group of partners that will offer paid channels on YouTube with subscription fees starting at $0.99 per month. 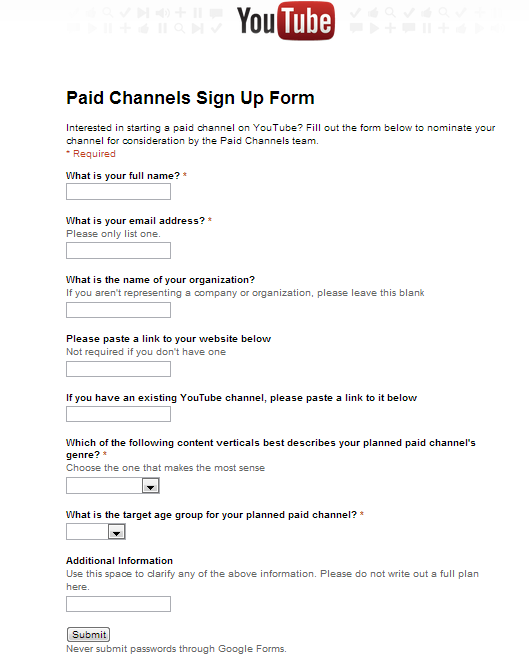 Fill out the form with valid details and submit to YouTube paid channels team, once your request has been accepted they will inform to you via Email to customize your channel.